Google joined the rush for a slice of the tablet market with the launch of their Nexus 7. They join market leaders Apple and challengers Microsoft and Amazon in the crowded competition for tablet consumers. The Nexus is a seven inch tablet manufactured by Asus, running Google’s Android software. The emphasis would appear to be on handiness and affordability. Initial retail price in the USA will be $199. It comes with a 1.2 megapixel camera and 8GB or 16GB of memory. 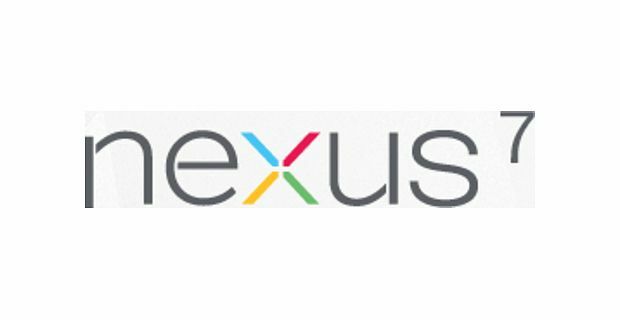 Google are marketing the Nexus as "a serious gaming device" and portable enough to make it ideal for emailing, web-browsing and downloading apps on the move. It will be hustling for market share with Microsoft’s new Surface tablet and Amazon’s similarly-priced Kindle Fire. Industry analysts have been sceptical about any challengers’ prospects of taking on Apple in a field it dominates with the iPad. Salman Chaudhry, an analyst at the research firm Context, told The Guardian that the realistic solution would be for manufacturers to emphasise one facility that it does very well rather than take on the iPad across the board. "Strategy needs to be more aligned towards the Kindle Fire's purely 'content-consumption' orientated device," he said. "However, if Google is looking to take a bite out of Amazon's share, it will find that it's competing against a much more well-developed entertainment-orientated platform with huge, well-organised catalogues of books and media content." In short, Google is a little late onto the playing field and its rivals already have a considerable head start.